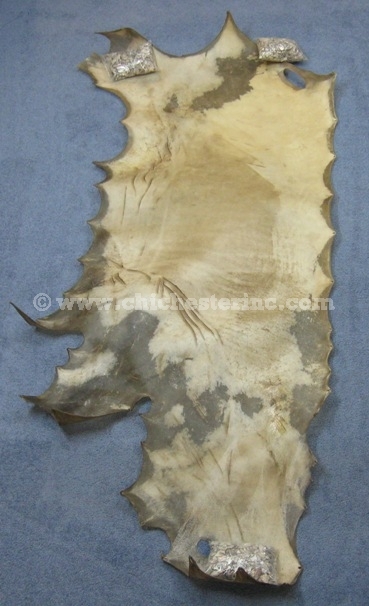 This is a side of buffalo rawhide. At approximately 3mm thick, the buffalo rawhide is thicker than cow rawhide. 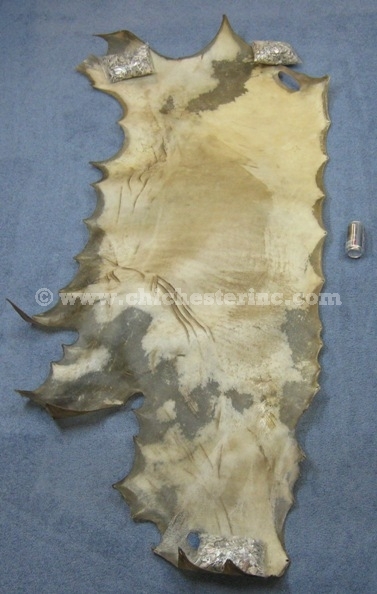 To give you an idea of the size of a side of buffalo rawhide, one hide measured 88" long, 33.25" wide, and weighed 4.86 lbs. There is no hair on this rawhide. Click HERE for a full listing of rawhide.